You can combine materials of any type, except Legendary. 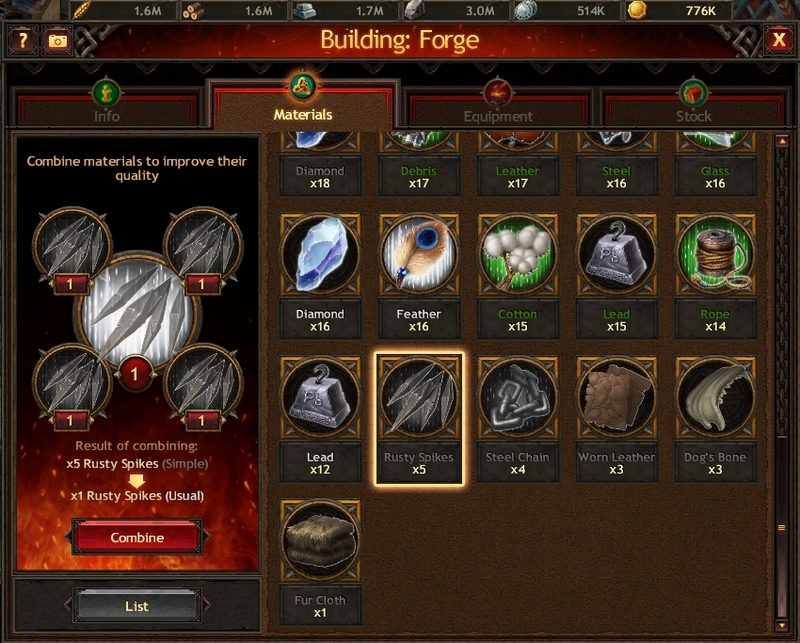 It allows the player to obtain a material of a more valuable type than the initial material. 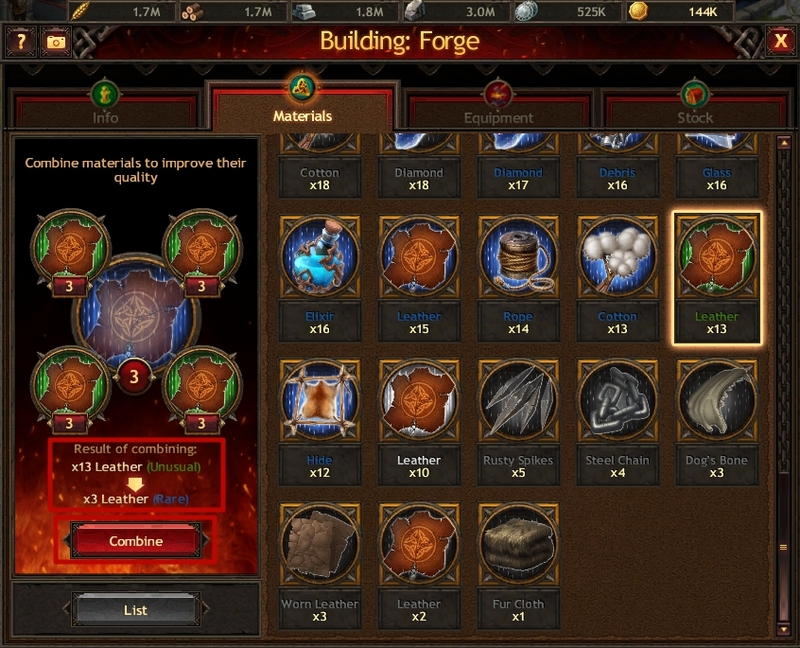 To combine materials, you need to open the Materials tab of the Forge. On the left-hand side of the window, there is the slot for the material that will be obtained in the event of successful combining four identical materials of one type placed in the corresponding slots. You can create one material through regular combining by clicking the “Combine” button. Bulk combining allows you to considerably boost the process of creating materials. 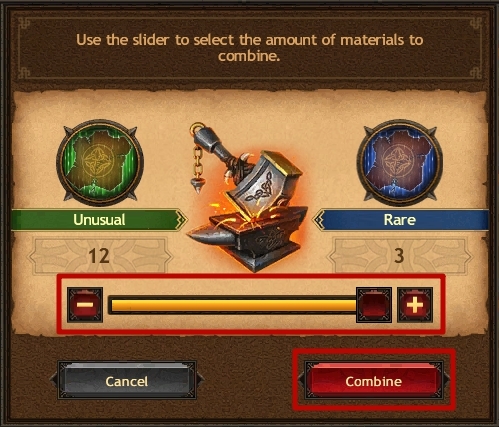 Clicking the “Combine” button will open an additional window where you can indicate the necessary quantity of the material that will be obtained as a result of combining. 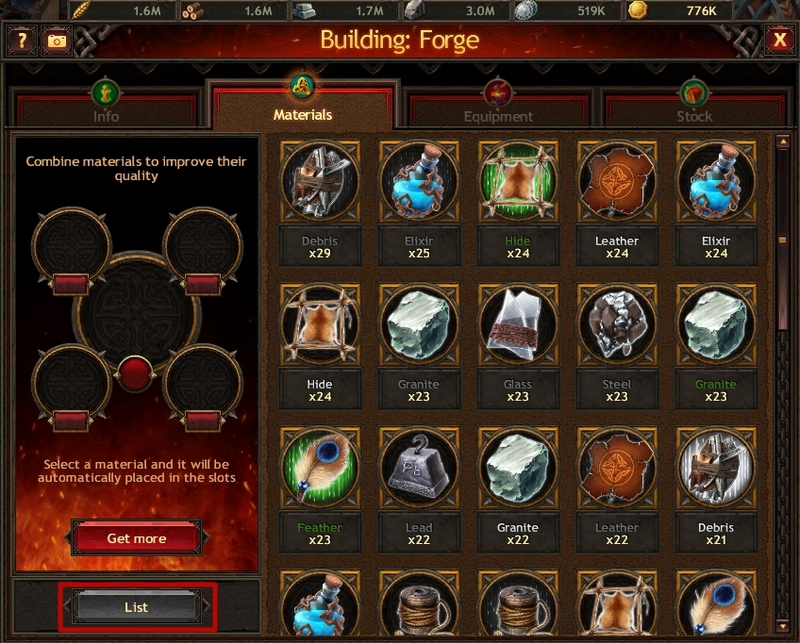 For example, if you have 12 units of Unusual type Leather, you can select the necessary quantity of the materials with the help of a slider, so you will immediately obtain up to 3 units of Rare type Leather. You can also select your preferred display option for the materials – as tiles or in a list.